I LOVE this foundation. It gets used on so many people that I work with and it photographs beautifully. I apply it with a brush, usually a flat synthetic concealer one and then I buff it in with a fluffier one, usually this one! A little goes a long way so don’t use too much as it can create too much shine. Use this to even your skintone out and cover minor imperfections, then use a concealer to cover anything else. This foundation is made up of 70% organic ingredients and 30% natural mineral pigments. At the risk of repeating myself, this is a staple in my professional kit and my personal make-up bag. I use this so much as a finishing touch to gently highlight and make skin look naturally healthy and dewy, without being shiny or sparkly. I use it everyday on myself and quite often get comments on the dewiness of my skin (on sometimes 3 hours sleep, so I thank the luminizer for that!) Just use your fingers to dab it onto areas like your cheekbones, eyelids and bridge of your nose. Again at the risk of repeating myself, I use this concealer so much. It’s great on its own for lightweight coverage, brilliant on a guy for example. I also use it a lot teamed with Vapour’s foundation. The main ingredient is organic, raw, virgin coconut oil so it will feed and heal skin at the same time. 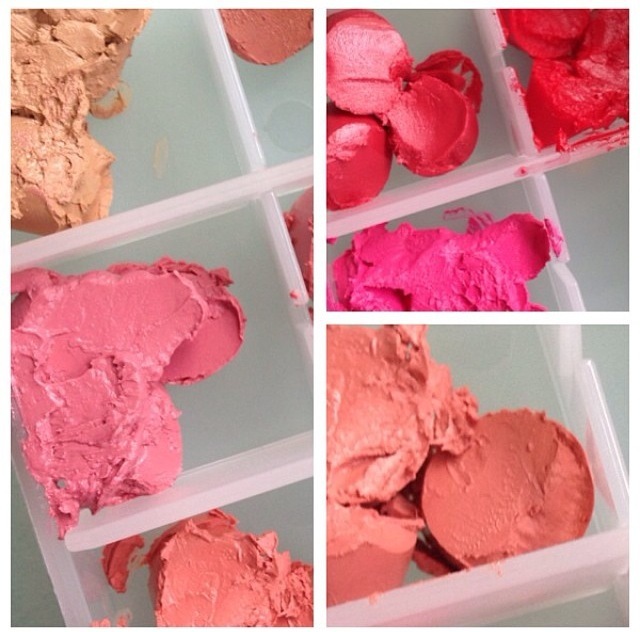 Made with USDA certified organic ingredients, these lipsticks changed my lip kit. Their colour range is so good and a real break away from the traditional muted colours quite often offered by organic brands. They have a bright neon pink, an orange, a deep purple and then reds, nudes and more. I use these a lot. I tend to use a cream base first to get the intensity – I’ve always done that though, whatever shadow I’m using. These contain about 12% organic ingredients, the rest are of natural origin. I like them because there is a good colour range with a good mix of shimmer and matt textures, which is really important. I love eye pencils. They’re great as liners but also all over the lid as an eyeshadow base or a quick smokey eye. I was cleaning my kit and rediscovered some of these gems. The long dark blue is Inika and the pale blue is Couleur Caramel. Next is some more Inika, 100% Pure and then the blue and purple together are Benecos. 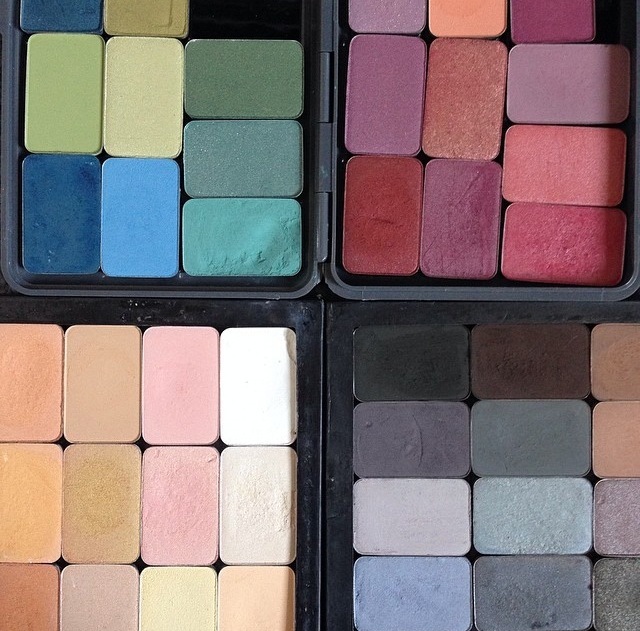 What are your favourite organic make-up products? My make up “collection” is tiny. I suffer from a very sensitive skin and have had dermatitis twice as a reaction to some ingredients. For that reason I have to limit how many different things I apply to it. My foundation is Vapour atmosphere soft focus. So far I have reacted to it so I’m happy. The only problem is that sometimes it seems to “sit” on dry patches so I’m not sure what to do with it. I have 2 concealers: Vapour ilusionist for my under eyes and RMS uncover up for the rested my face and neck. My eye shadows. I have 6 two Jane Airedale matte and a small lavera shimmery quad, all of them in neutral colours. Finally (and sorry for the long comment), my blush is RMS lip to cheek in Demure. It’s too light for my lips but the perfect colour for my cheeks (I got that shade after you recommended it😊). 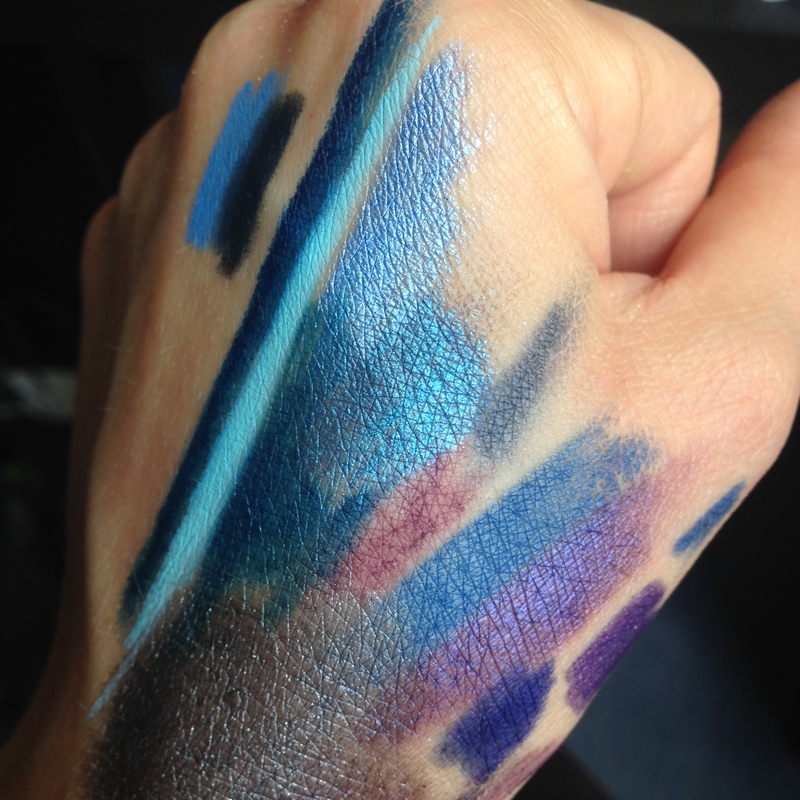 Thank you for your commment – you have a great collection of make-up! You may consider it small but it sounds like you are getting good use out of it all and it works for your skin so that is great. I really like all of the products you have mentioned – love the Green People Mascara. With regards to the Vapour foundation sometimes sitting on dry patches – do you exfoliate – sometimes that can help make-up to sit better. Have you tried their Skin Perfector underneath – it works a bit like a primer so that could also be worth a try. I’m so pleased that Demure works well for your cheeks! I’ll have to try using Vapour with a brush your way as though I love the texture it is always *too* glowy when i apply with my fingers. Apart from the ones you’ve mentioned, I love Red Apple and Xenca for creamy semi-matte pigmented lipsticks. Thank you for reading! Yes do try with a brush, it will absorb a little of the product so less is left on the skin and it becomes easier to ‘buff’ it in, making it less glowy. Oooh – not tried those – will investigate – thank you! Great post. I am in search of a bb cream or tinted sunscreen or I dont even know what because my beloved Missha cream has mineral oil and parabens. I have melasma on my skin so the hyperpigmentation makes it hard to find products that blend/cover. I have been wanting to try Vapour but it is so dang hard to give up something that works!! I know exactly what you’re saying – really hard when you love a product but not the ingredients!! 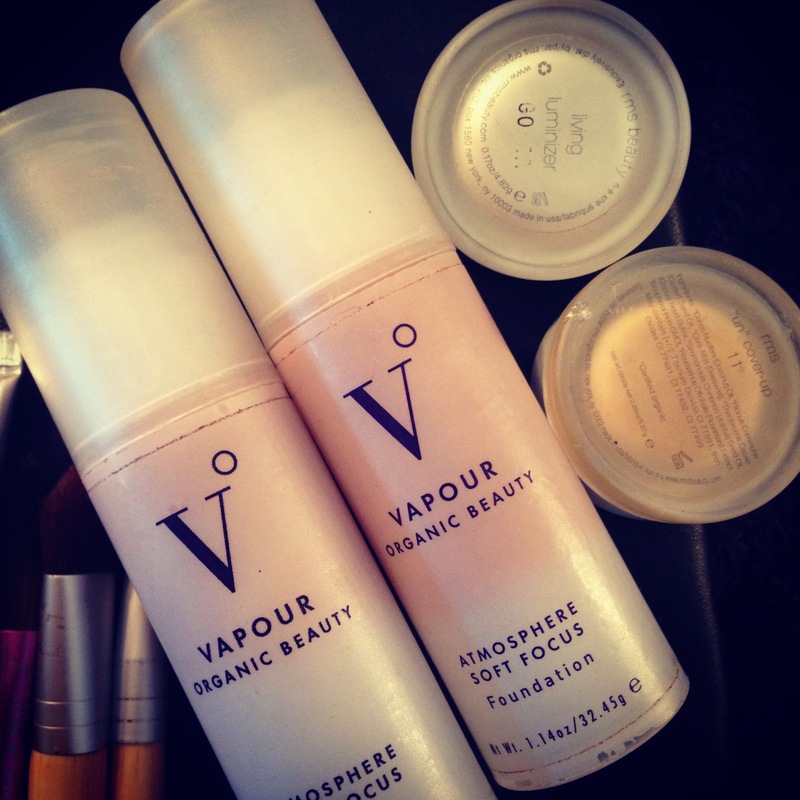 Give Vapour a go – perhaps you could try a sample first. Do you like mineral powders – they’re great for building coverage – try Alima Pure or W3LL PEOPLE – after you’ve applied spritz with some water or a toner to get more of a dewy finish if you like creams..
Great advice because I just got a deluxe sample of W3ll people! !